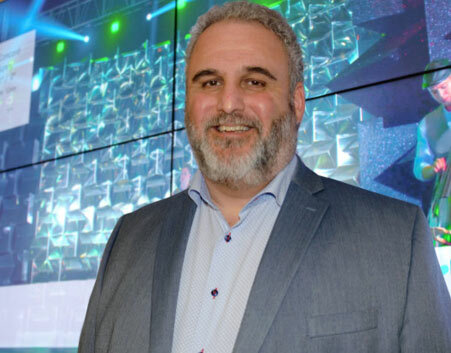 We got to sit down with Amedeo to ask him a few questions about digital signage and what’s in store for his company. You started your first technology company in 1986. Did you think as a child that this is the industry that you would always be in? Absolutely! From the very first time I sat in front of a green monochrome screen and a keyboard, I was hooked. There was no formal internet back then and programming was significantly more limited. But the concept that a piece of equipment could provide a blank canvas for a digital world was so enticing. It drew me in from the first “Hello World” program to the sophisticated SaaS based applications we build today. I couldn’t even imagine doing anything else. You’ve been at this for more than 25 years. What keeps you in the same industry? The fact that it is constantly changing. Every morning I read my favorite periodicals and blogs and learn something new. The things that are cutting edge today are common place the following year if not sooner. The tech space will always keep you learning and on your toes. What is the most challenging issue you face as CEO of this business? I would have to say that it’s assessing the latest technologies and determining the right time to invest in them. I’m all about technology for the sake of business and definitely not about technology just because it’s cool. Don’t get me wrong, I love cool new tech, but a lot of it is simply that “cool”, rather than something you want to invest in for your business. It’s about choosing to invest in technologies that will significantly improve your offering and have a direct impact on the overall customer experience. Each time you make a significant technology investment, it’s a bit of a risk. On the one hand, you don’t want to wait until it’s completely vetted, because if you do, you’ll always be following rather than leading. On the other hand, the earlier you leap, the better chance there is that your investment may be in a direction that will ultimately not come to fruition. It’s a real risk reward situation. The more you risk, the greater the reward for both your business and your customers. Take for example our decision to move away from Adobe Flash and toward an HTML5 based content designer in late 2012. Today it’s a no brainer, but in 2012 before HTML5 was even fully released, it was a decision to move toward a cutting-edge technology and away from what was then the standard. This was a major investment in both dollars and resources, that would run more than a year in development, as it required a ground up redesign. 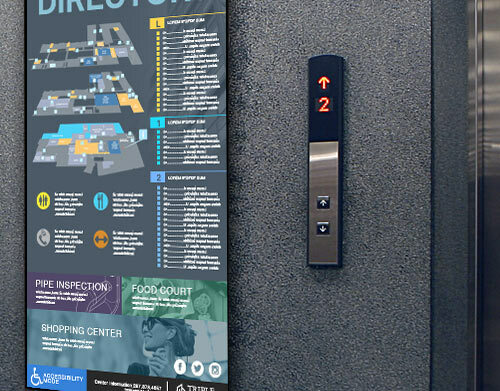 Looking back, it was a great decision that definitely paid off and put us at the forefront of Digital Signage CMS systems. As CEO of a technology company, significant investments toward new cutting-edge technologies are risky and require somewhat of a gut instinct. It helps of course to have an absolutely awesome team around me that helps me vet technology investment decisions, but in the end, it’s ultimately my call whether to invest or not. What steps are you taking to ensure your business stays relevant? Is there a short term/long term plan in place? Well that would be a carry forward from your last question. To stay relevant in the tech space, you always need to be improving your offerings, because technology changes so quickly. As a result, that means continually investing in new technologies, whether it be from an infrastructure perspective or a product design perspective. In that regard, we are making significant investments in the IoT space right now, which includes expanding our R&D teams. Over the long term, I can only say that we will continue to stay relevant with continued investment in our infrastructure and product offerings. We’ve been doing it successfully for more than 25 years and I intend to ensure that the trend continues. 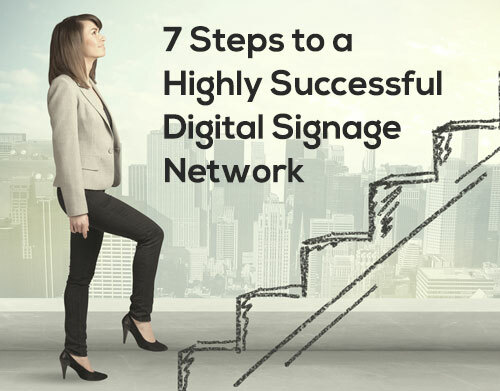 What are some of the roadblocks for digital signage industry that you face? Well, I don’t know whether I would consider it a roadblock, but as a technology industry matures, it always has laggards coming in late to the game trying to compete solely on price. This is where you need to be sure your organization is firmly placed to demonstrate its value proposition. Some say you can’t compete against free. I completely disagree. If you had the opportunity to deploy 100 free copies of Microsoft Word 1.0 in your office, would you? 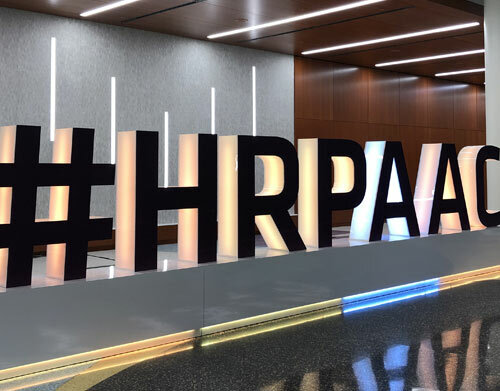 Just because it’s inexpensive or free, doesn’t mean it’s going to provide your business the value to significantly impact visual communication within your organization. So ultimately, the onus is on us to demonstrate the significant value that comes with a mature enterprise solution like ours. 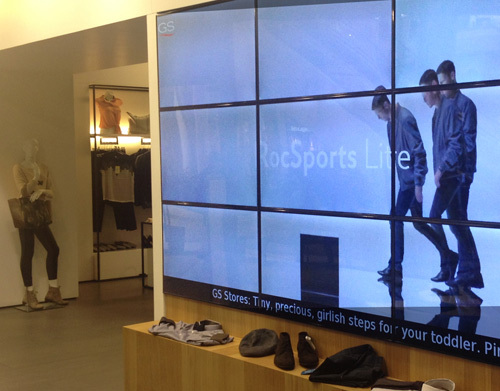 What advice do you have for someone who is looking to buy digital signage for their industry? Take the time to do your research. Make sure that the vendor you choose has what it takes to ensure your displays remain up and running for many years to come. Everything from the cloud infrastructure they use, to the security measures they deploy, to the type of hardware they use and most importantly how intuitive, easy to use and scalable their Content Management solution is. All of these factors will ensure you get value for your investment. That’s an easy answer. Those that know me well will tell you that when I’m not at my desk or talking business of some sort, you can find me in front of a BBQ. Barbequing is something I’m truly passionate about. I love the long over night cook outs as well as the quick grills and all the friends and family that come along with it. I think if for some reason I couldn’t be in the tech space, I’d own a BBQ dive that would have lineups all day long!